Thirty-five crews will line up for the return of the CAMS Australian Rally Championship to the Apple Isle on July 27-29, taking on the challenge of ‘unknown’ special stages that haven’t seen competitive rallying since the 1990s. Subaru Rally Tasmania will provide competitors with more than 240 kilometres of competition over two days in the forests surrounding Launceston. Special stages will feature wide and flowing roads along with Tasmania’s quintessential twisty and narrow challenges. Click here to see the Subaru Rally Tasmania entry list. The CAMS Australian Rally Championship field will be led by Eli Evans and Ben Searcy in the Tankformers Skoda Fabia R5. Hot on his heels will be the Toyota Genuine Parts Yaris AP4 of Harry Bates and John McCarthy. 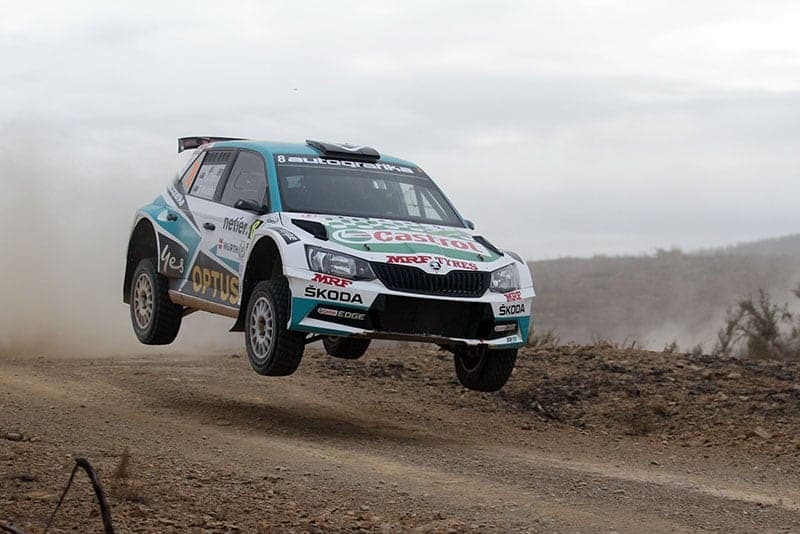 While Evans has at times looked untouchable, Bates pushed the three-time Australian champion all the way at the Netier National Capital Rally, winning the day two battle on time. The battle looks set to continue in Tasmania. Third on the road will be local hope Steve Glenney in the Contel Communications Subaru WRX STi, with Andy Sarandis in the co-driver seat. While there will be no home ground advantage in terms of stage knowledge, Glenney will certainly enjoy local support and competing on home soil. Adrian Coppin will be fourth off the line in the second Skoda Fabia R5 in what is a ‘bonus’ round for the Queenslander, having found the means to extend his original three-round deal through his business, Innate Motorsport and Events. Coppin welcomes Toni Feaver to the co-driver seat, replacing regular co-driver Erin Kelly. Subaru do Motorsport’s Molly Taylor and Malcolm Read will be fifth on the road with their team, Les Walkden Rallying, enjoying the luxury of an event in their home base of Launceston. Subaru Rally Tasmania will see the return of the Walkem brothers, Marcus and Scott, in their first ARC event since the 2017 Make Smoking History Forest Rally, where they wrote off their Mitsubishi Lancer Evo IX. The brothers will debut the Peugeot 208 AP4, sixth on the road. 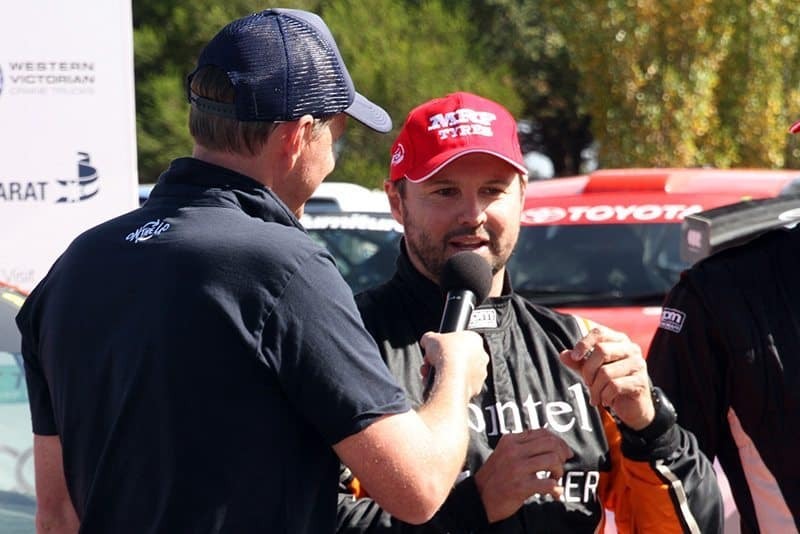 Lewis Bates, seventh on the road, welcomes back regular co-driver Dale Moscatt and will be hoping to have an issue-free round in the Neal Bates Motorsport Toyota Corolla S2000 after suffering an early exit last round. There will be healthy competition in the ARC2 field. Locals Steve Glenney, Mark Butcher and Matt How will be on the hunt for ARC2 points in addition to their Tasmanian Rally Championship campaigns while Ben Hayes, Adam Kaplan and Kevin Raedel have selected the event as their nominated ARC2 round. A 23-strong field will contest round three of the Dunlop-Motul Tasmanian Rally Championship, all out to catch Championship leader Brodie Reading in his Carver Mechanical Subaru WRX STi.